While I was growing up, I was a fan of Dwayne “The Rock” Johnson — it’s not easy to dialogue in third person convincingly. In my previews for Guncraft: Block and Loaded located here and here, I attempted to entertain the audience in third person while providing a sneak preview for the long-awaited XBLA title. I had never played Minecraft before, and my girlfriend was excited to drag me into the world of block building. After playing Guncraft for some time, I’ve come around to thinking that block-building games might not be so bad. It’s still more fun to break than build, though. Customizations — From the get go, the amount of character customization is tremendous. Most characters’ outfits’ colors can be changed, and some body parts have different costume options to unlock. If you had to do permutations of every possible combination of customization, your options would easily be in the billions. Game options — I was absolutely blown away at the amount of options available in this game. There are a satisfactory amount of game modes, though I’m sure players will gravitate to some more than others. Once a game mode is chosen, players can choose through many available default maps. 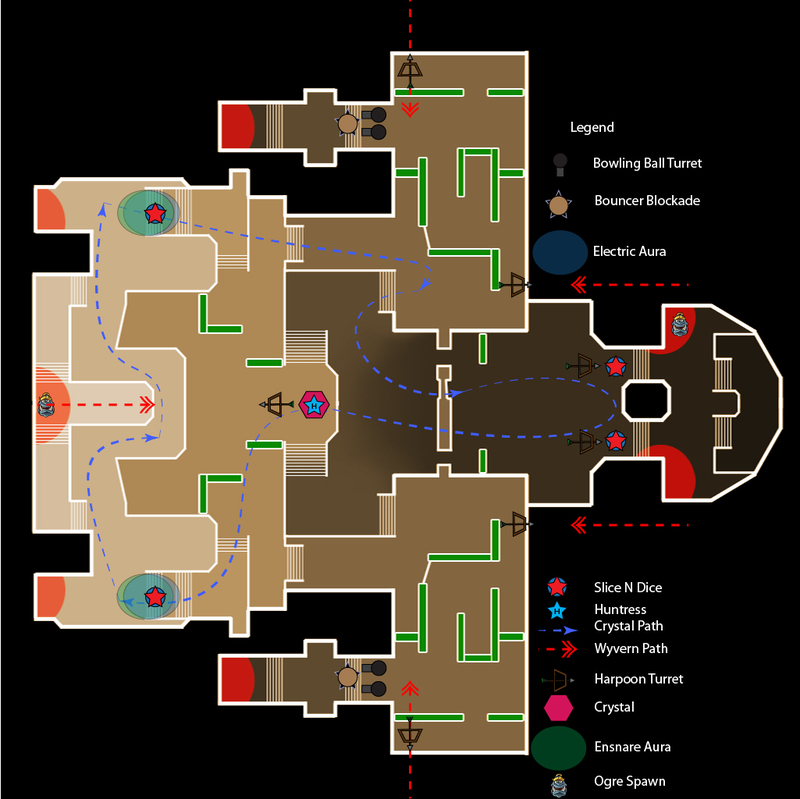 In the standard deathmatch modes, there are 40+ maps to chose from, and most of these maps are very detailed. Many multiplayer games are content with creating around 8-12 maps. Guncraft goes above and beyond that bare minimum. Not happy with what’s provided? Make your own maps with the detailed level editor. Optional local split-screen online play — A common feature that is left out of many modern games, split-screen multiplayer has found its way into Guncraft on Xbox 360. Nicely done, Exato Games. Hybrid game done right — Guncraft: Blocked and Loaded takes features from the Call of Duty series and Minecraft and meshes them into a new creation worthy of praise. Fans of blocks and guns will feel right at home here. 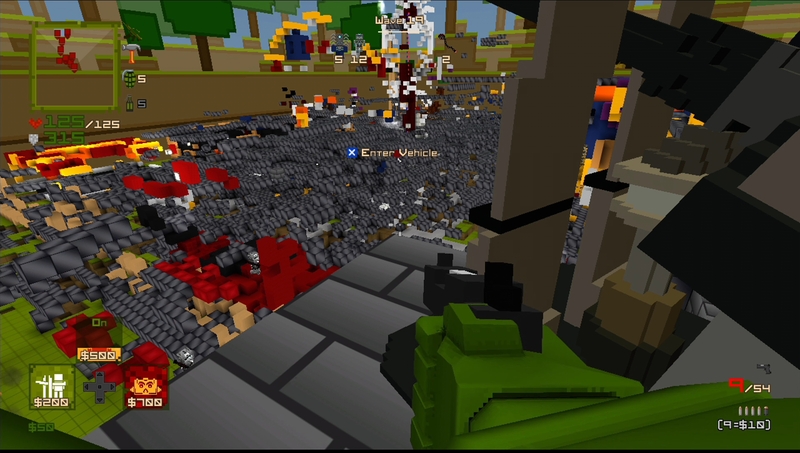 Players are empowered when using guns like the RCP-9000 to tear through blocks and enemies, or while using killstreaks like the tank or the AC-1337 to seriously blow things up. 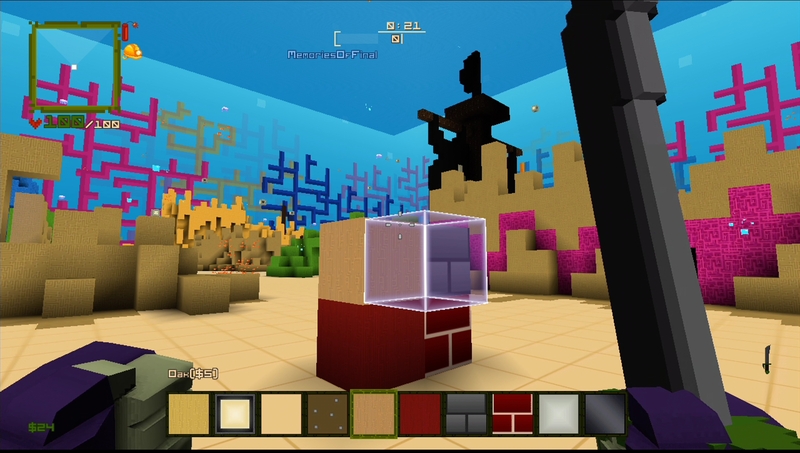 Although not as detailed as Minecraft, Guncraft gives builders find enough block choices to create art works on the fly. While I do wish there were more weaponry choices available, the ones provided in-game do an adequate job for combat purposes. Hard-to-share creations — Say a friend made a fantastic level and asked you to try it out. That’s easier said than done. I’ve looked hard for an option, but the best I found for sharing was having the person host a free build game and having the visitor come in to save the level for their own. For a game that encourages imagination, it’s hard to imagine why there wouldn’t be a public option to share creations. Xbox Live servers are unstable — This particular issue is never fun to report. The problem here is that when going from the lobby screen to the game, there is a semi-frequent chance that one or more players may get kicked out of the loading screen and back to the Xbox 360 Dashboard before entering the game. The host is not immune to this either. Needless to say, it becomes a major headache to organize a large group of players from scratch in a game that can hold up to 16 players. What’s peculiar is that if a lobby makes it to the game itself, any future match in that lobby will continue to work properly. NAT issues are also frequent here, and some players won’t be able to connect to others. Sadly, that’s a norm in the game industry. Lag also becomes a major issue when a game becomes busy with action. In Onslaught mode, which features up to four players against a horde, action can become awkward in later waves when the players can move around but bullets produce no hit markers or damage output. The game can become nigh unplayable at times, with recyncing taking up to 30 seconds to complete. Heavily reliant on multiplayer — While featuring a strong selection of multiplayer modes, Guncraft‘s single player side is rather weak on content. The game is heavily reliant on keeping a player base around to make the world fun. With no AI bots, the best you can do solo is play Onslaught against enemy hordes or create level layouts, but even that won’t appease players for very long. 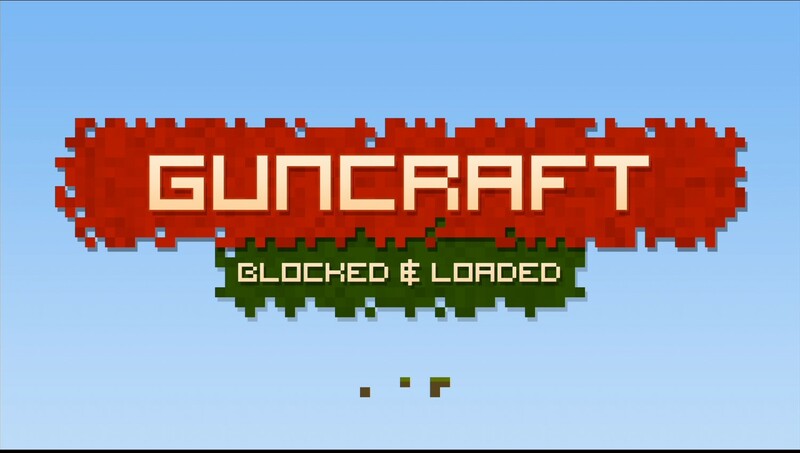 Guncraft: Blocked and Loaded has the potential to be very fun. What people looking to buy the game need to be wary of is a very low amount of single-player content. As such, fun here lives or dies on the amount of people who buy this game. If the servers are a ghost town, no one is going to enjoy this. If you have plans to buy the game later down the line, make sure to ask a group of friends to play with you to keep it interesting. Guncraft is worth playing, but make sure you’re not going to play it alone; otherwise you’ll regret your purchase. Achievement notes: Achievements are a sour note for most players. The player is required to do a significant amount of tasks to unlock them. Destroying 10 million blocks, collecting $5 million, creating 500,000 blocks and having to win a 16-player race without using power-ups are as bad as they sound. No matter your approach to unlocking that last one, it will be a test of patience for all the wrong reasons. 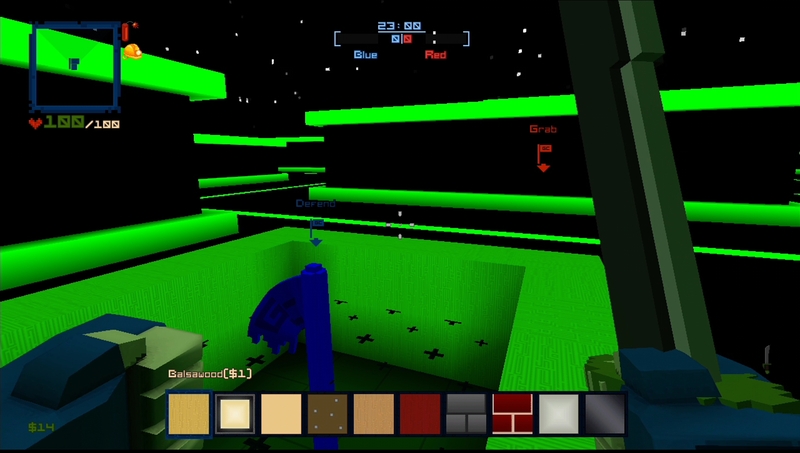 Guncraft: Blocked and Loaded was developed by Exato Game Studios and published by Reverb Publishing on Xbox 360. It was released on July 14, 2015 for $14.99. A copy was provided by Reverb Publishing for review purposes.